Plastic Lockers are a great solution for high humidity or wet environments. They are widely used at water parks, swimming pools and near showers. Plastic lockers are fabricated using solid high density panels to increase strength and durability. Plastics lockers are not only scratch resistant they are also impact and dent resistant. 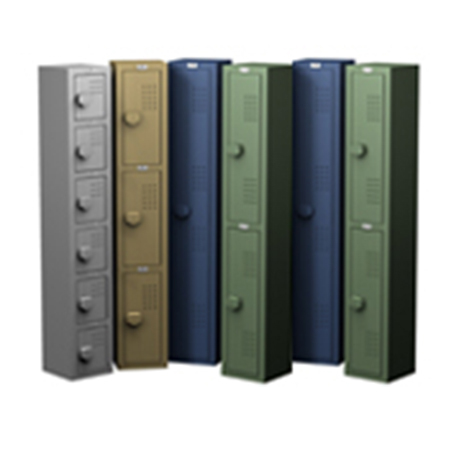 Plastic lockers are limited to the most common sizes and configurations. Plastic lockers are easy to clean and can be hosed out which can be a great option for food industries.